Fervor: increases attack speed in human form only with one handed weapons in combat when enemy health decreases up to maximum of 20 %, resets when enemy is dead to previous value. *Issue with night eye trigger has been resolved. 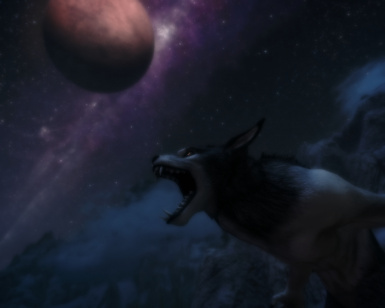 Hopefully fixed a bug that is causing night eye to trigger even if youre not a werewolf, please use the bug forum to report any further bugs and with the bug post your load order or which mod's you use thank you. "With the rank of the Beast, you have just started to understand the werewolf curse and with it you gained minor increase in health and stamina.Hunt under the moons to evolve further. When Hircine is pleased he will grant you with another werewolf rank." "After spending time in your werewolf form and hunting under the moons, you now understand your condition and accepted the beast within.The rank of the Hunter gives you increased damage and increased health and stamina in your werewolf form." "Spending long time with the inner beast, you've reached Savage Hunter rank. "After obtaining Savage Hunter rank you've become as one with your inner beast, feeding on your kills satisfies your urge for the hunt and grants you well rested bonus." This ability grant's you well rested bonus after few feeding's, active for about 10 hours. ***FERVOR*** (2.5 version): Increases attack speeds in human form with one handed weapons up to 20 % max when enemy health decreases, resets to default/previous values character has. Switching target's reset's the bonus attack speed and also depends on how much other target has remaining hp, the less hp more attack speed. Note: also works with any combinations of weapons/shields equipped including dual wielding, note that when playing with Ordinator, Fervor is strickly only for one handed weapons because Ordinator already has Massacre ability which increases your attack speeds with two handed weapons by insane amounts with a chance. If you have unlocked Dual Flurry perk (vanilla) or with Ordinator (Ravage) both perks for Dual Wield speeds which is 35 % Fervor adds another 20 % depends on enemy health which is total of 55 % increased attack speed while dual wielding. 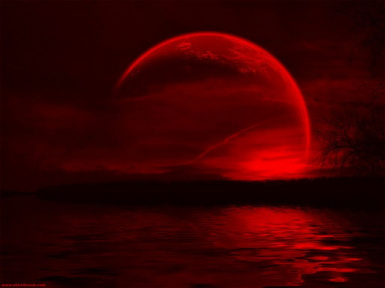 With these mods Bloodmoon Rising works flawlessly i strongly recommand you download these.